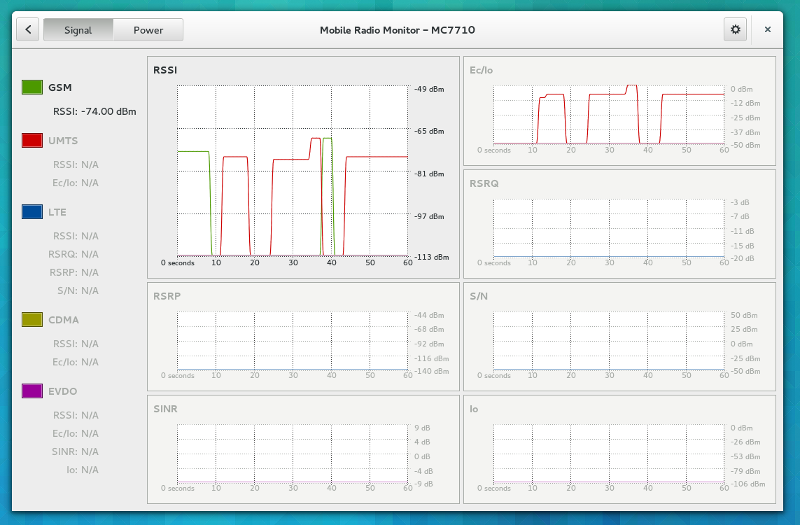 The Mobile Radio Monitor is a new (GPLv3+ licensed) application I wrote this summer, which lets you grab signal and power information from QMI-powered modems, and displays it in time-based graphs. I really wanted to use some of the shiny new things available in GTK+ 3.9.x, so this application seemed a good excuse to play around with the GtkStack, GtkListBox, templates and such. 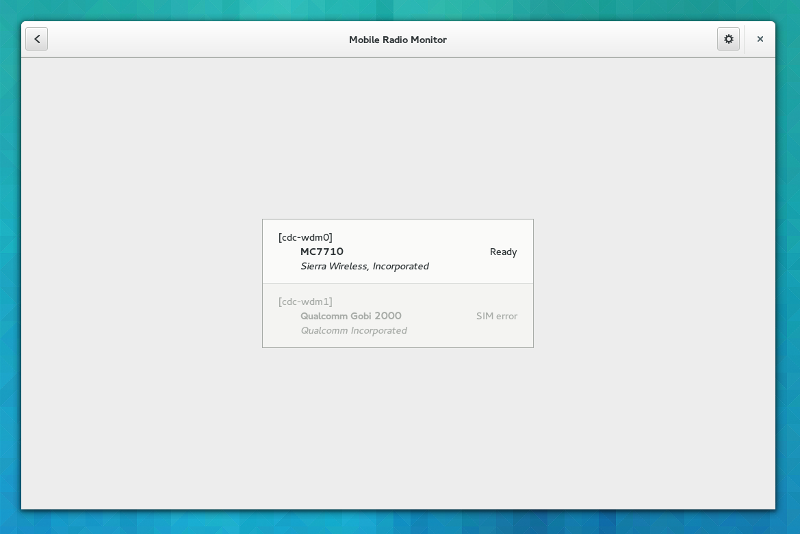 Internally, this application does not talk to ModemManager at all. The other thing that I wanted to try out with this application was the use of the ‘qmi-proxy‘ approach in libqmi, which lets you share a QMI port between different processes, and therefore this UI application can run alongside ModemManager without much collision between the two. 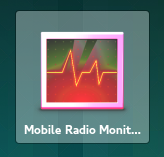 The Mobile Radio Application installs a desktop file, so it can be launched directly from the desktop shell. It needs to run as root, so “pkexec” takes care of requesting user authentication to gain privileges through polkit. The other option, of course is to just launch it from the command line using “sudo” or the like. When the application starts you’ll be greeted with the QMI device list detected by the application. Unusable modems will be shown as deactivated items (e.g. when modem requires a SIM but there is no SIM inserted), and for the usable ones you’ll be able to insert the PIN if required. Not every technology exposes all the previous values, though. GSM will only show RSSI, while UMTS/HSPA will show RSSI and Ec/Io. In addition to the graphs, the current instant value of each signal property is also given in the legend box. Hiding/showing graphs based on the current used access technology was an idea, but I left it out because you can actually switch the preferred technology using e.g. qmicli’s --nas-set-system-selection-preference, and therefore you would be able to see graphs with both access technologies. In addition to signal information, the application also exposes receiver and transmitter power values in the Power information tab. 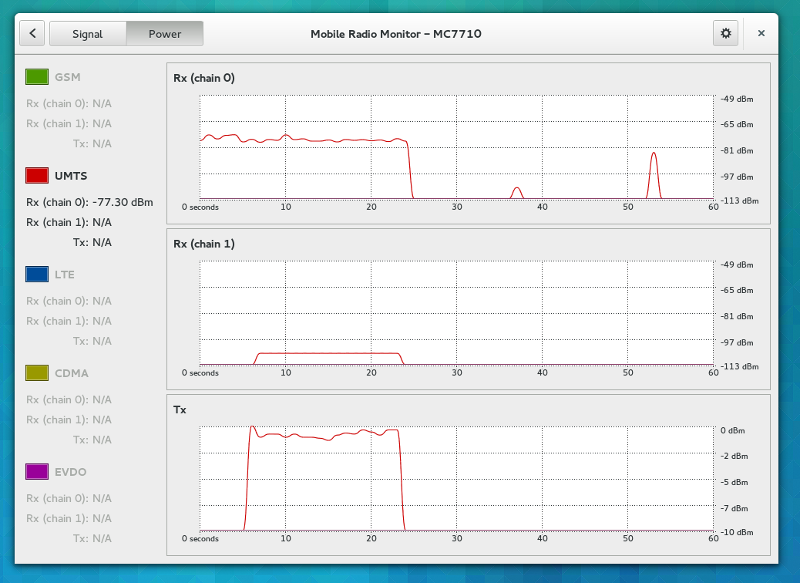 Thanks to being able to have ModemManager running at the same time, you can actually get the modem connected and see how both the RX and TX power values go up and down.